When you live in a state of perpetual sun like we do here in Arizona, why not harness some of that sunlight and turn it into usable energy in your home? Of course, the want to convert solar power to usable energy does not guarantee the ability to do so. There are several factors that come into play to determine whether or not your home has the ability to use solar panels. The pitch of your roof and the direction your roof is facing are two factors to take into consideration when you’re considering whether or not to look into solar panels. Adjustments can be made by the homeowner, or by a Goodyear professional roofer depending on the level of skill needed for these adjustments, to avoid as many obstacles as possible before installation. Let’s look at some ways to make sure your home is ready for a solar panel installation. For this, you’re going to need to get a good look at your roof from a few angles. You need to make sure that you roof is free from leaks, broken shingles or tiles, damage, etc. If it’s within your skill set to do so, make the proper roof repairs yourself, or contact a roofing company in Goodyear to come out and make the repairs for you. You should expect that the solar panels will last from 20-25 years, so your roof needs to last the same amount of time or longer. Make sure that there is no debris on your roof while you’re inspecting it. This should be a part of your regular roof maintenance to help prevent build-up of debris which can trap moisture, creating an environment for rot to happen. Making sure you don’t have tree limbs leaning on your roof is important as well, even when not preparing for solar panels. Not only are they going to leave debris, they’re going to add unnecessary weight to your roof as well. />To get an idea of how the solar panels will be arranged, you should get a good measurement of the space that you have. To measure properly, you need to begin at the eaves and measure both the length and the width of the surface. An area of 200 to 400 square feet has been suggested for an effective solar arrangement. To have a proper array of panels, it may be necessary to move some antennas, satellite dishes, roof vents, and other items affixed to the roof. You may need to involve a professional plumbing contractor to move some roof vents to make way for the solar panels to be installed. If you have trees that hang over your roof or cast larges shadows on the parts of your roof that are going to have the solar panels, you will want to trim back those branches to allow the most sun exposure on the panels as you can. If you have larger branches that need to be removed, it is recommended that you get a professional to come do so for you. You should contact a professional who can confirm that your roof has the capacity to carry the added weight that solar panels will bring. Hiring a professional roofer who can both check the ability of your roof to hold the stress of added weight, and/or make the proper adjustments to your roof so that it can, is a good avenue to take. If you’re not a professional roofer, hiring a Goodyear roofing company will be your best option. Although you will be able to do some pre-emptive roof maintenance and minor roof repairs, you really want to make sure that your roof is ready and able to hold the solar panels you’re wanting installed. We would be more than happy to come out and check your solar panel readiness. While we are there, we can also give your roof a good inspection to make sure that you’re getting all the life and function out of your roof as you can. 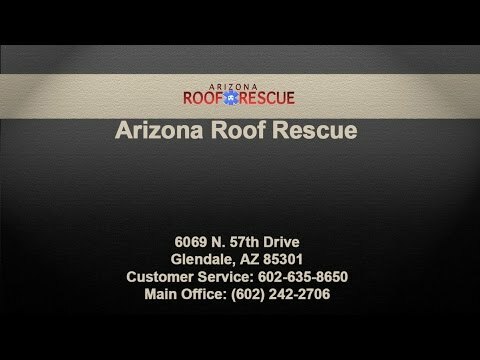 We can discuss good roof maintenance with you, and make sure that your roof is ready for any weather that Arizona can throw at it. Give us a call today at 602-635-8650 to set up a consult so that we can help you become solar ready.